Loopmasters are proud to welcome El. 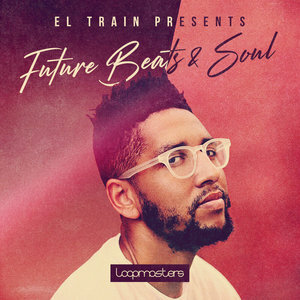 Train to the Loopmasters roster, with his offering of Future Beats & Soul. This one is raw, emotive and expressive, with a focus on cutting edge production techniques being married with a timeless and soulful sound palette. Rolling through 100% royalty free, this is one you can't afford to miss. Brighton born Luke Nyeke aka El. Train is known for his ability to blend together Hip Hop, R&B and Electronic beats with a heavy nod to the US West Coast beats scene. Whether remixing, producing for other artists or his own releases, you can be sure he will always add his own signature sound. In the last few years he has released music on labels such as Laruche Records, Darker Than Wax, Jakarta Records & most recently he released his collaborative EP Over & Over with singer Miki Rose on his own label Shimmy Records. He?s also remixed the likes of Ivy Lab, J Felix and Sinead Harnett. El. Train takes you on a beautiful journey over 1.71 GB of content, with everything you could need to heighten your creative instincts and ensure maximum efficiency with your studio time. Delve in to find neo soul drum samples, hip hop bass loops, wonky percussion samples, future beats music loops, FX, synths, vocals and more, carefully produced and ready to grace your mixes with a colourful splash of musicality and energy. With loops rolling out between 72 and 160 BPM, El. Train has got you covered. The named genres are effortlessly complemented with this collection, but you?ll also be covered for hip hop, R&B, West Coast beats, and any other styles with an attention to groove and musicianship. Bringing together all the elements of the Future Beats sound into one flawless space, El. Train has brought together an unmissable collection of sounds for any producer interested in harmonious and atmospheric explorations.